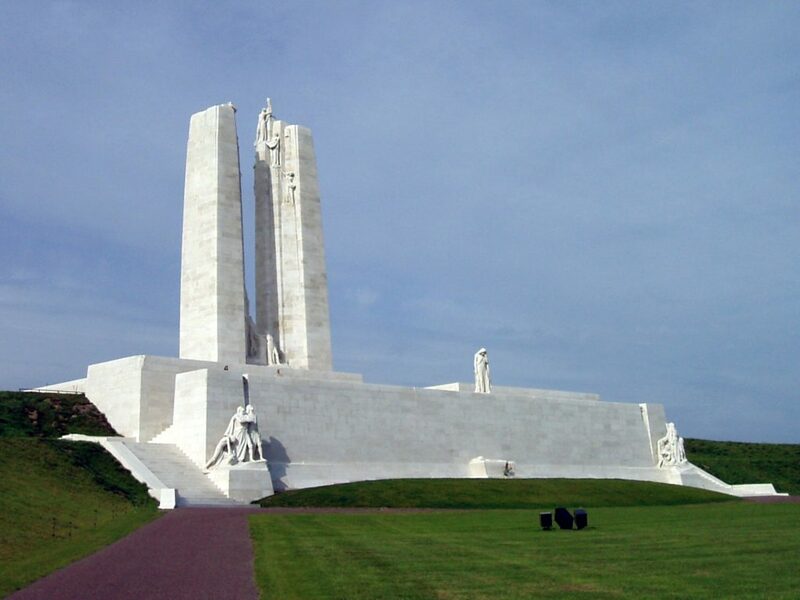 The Battle of Vimy Ridge, which took place 100 years ago this coming week, represented an allied victory over the Germans during the First World War. In particular, according to Canadian historian Pierre Berton, it marked the moment when Canada “truly emerged as a nation” – the four Canadian divisions coming together to take a fortified knoll outside Givenchy-en-Gohell and capture some 4000 prisoners. Wikipedia suggests that the nation-building story only came about during the latter part of the twentieth century (i.e. during the 1960s, when the Liberals were trying to downplay Canada’s British connection). Be that as it may, it is clear that the battle, as a rare victory in an otherwise disastrous and pointless war, has become important to Canada’s psyche. The British commanding officer, Field Marshall Julian Byng (elevated to the peerage in 1919 as Baron Byng of Vimy) was appointed Governor General of Canada in 1921, and Vimy Ridge was one of the eight sites granted to Canada for the construction of memorials; Walter Seymour Allward’s winning design was opened by King Edward VIII in 1936. And check out the Vimy 100 page at the National Post, whose current top story relates the news that Prime Minister Justin Trudeau and 25,000 other Canadians are headed to France for ceremonies marking the centenary. UPDATE: Dartblog covers Vimy Ridge also. Check out the photo of the current $20 bill and the link to Coach’s Corner. 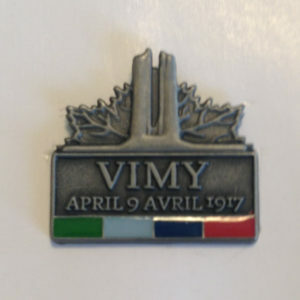 UPDATE: This morning I discovered my Vimy pin. These appeared in the wake of the refurbishment of the monument in 2007. 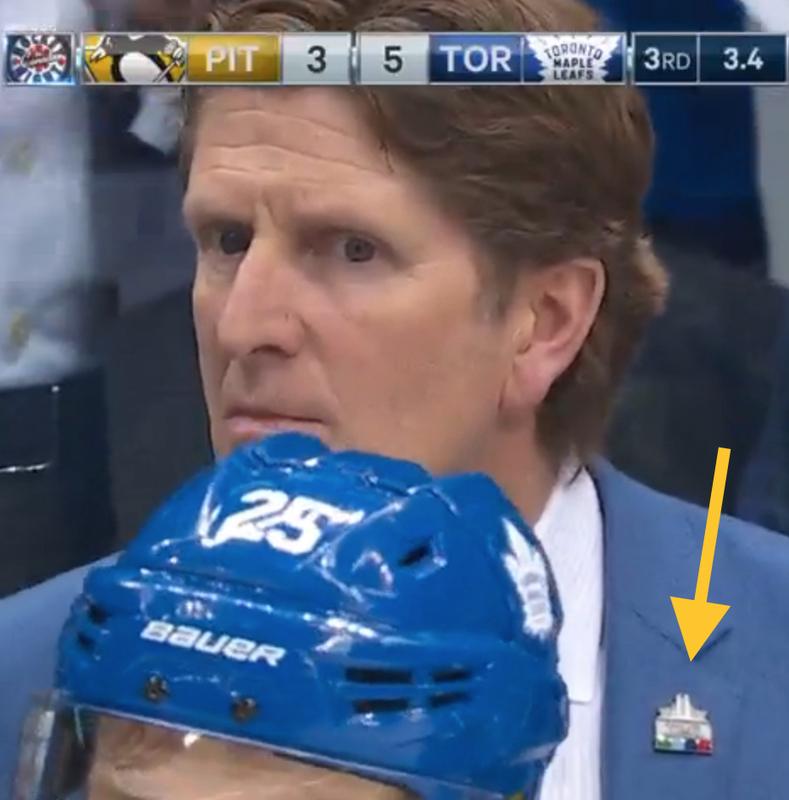 I also noticed that Mike Babcock was wearing one last night as his team made the playoffs for the first time since 2013. (I don’t know why he wasn’t smiling more). This entry was posted in Anniversaries, Canada, Monuments, World War One by jgood. Bookmark the permalink.